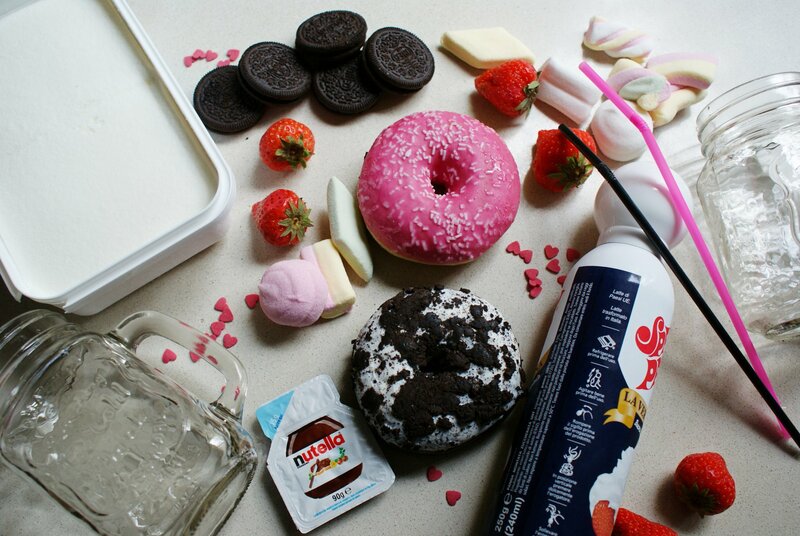 Who’s ready for a suuuper sweet weekend? 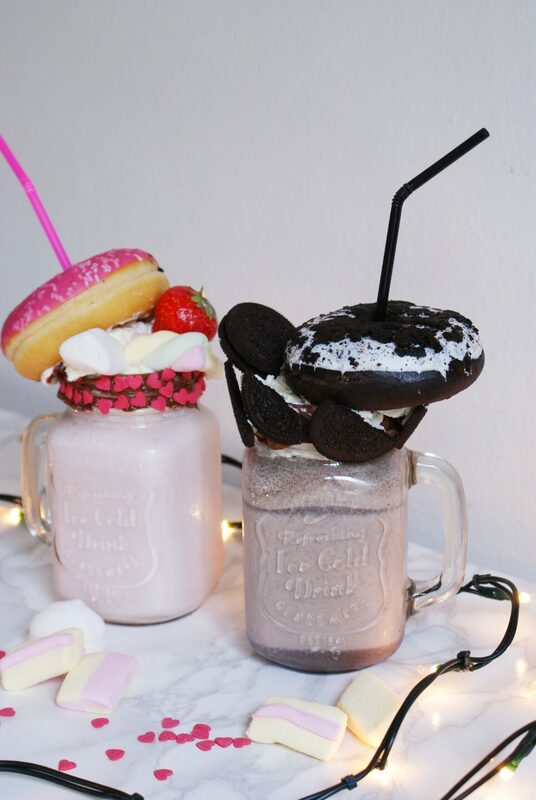 Chi è pronta per un weekend davvero dolce? 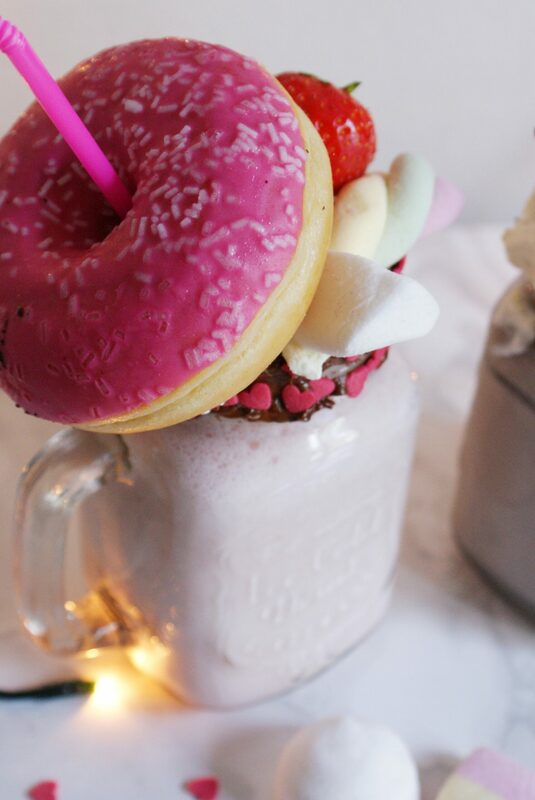 Born in Australia months ago, freakshakes are still a thing. 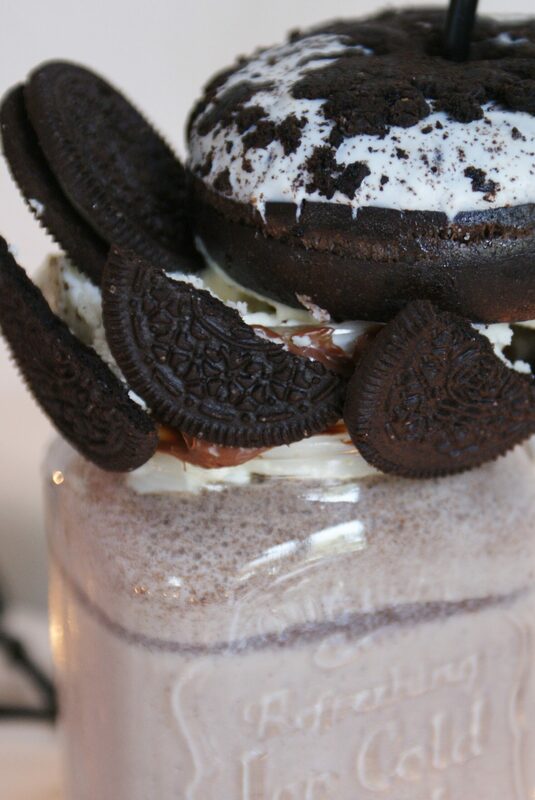 Excessive, almost monstrous, a dripping chocolate and cream vision full of everything you can crave in your guiltiest dreams…yes, because even if you say you won’t, in the end you want! 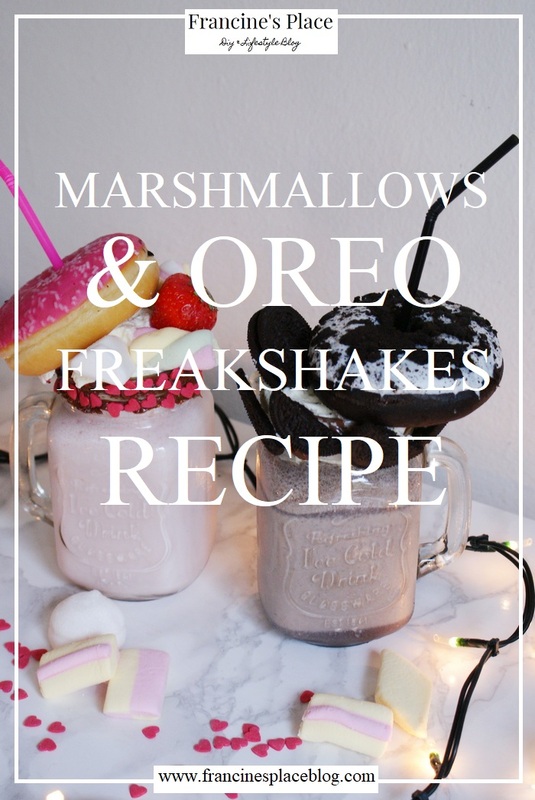 Not your everyday break (unless you want to become your cholesterol best friend) but definitely something to try this weekend with your girls, your bf or yourself to bring your Netflix afternoon to the next level! 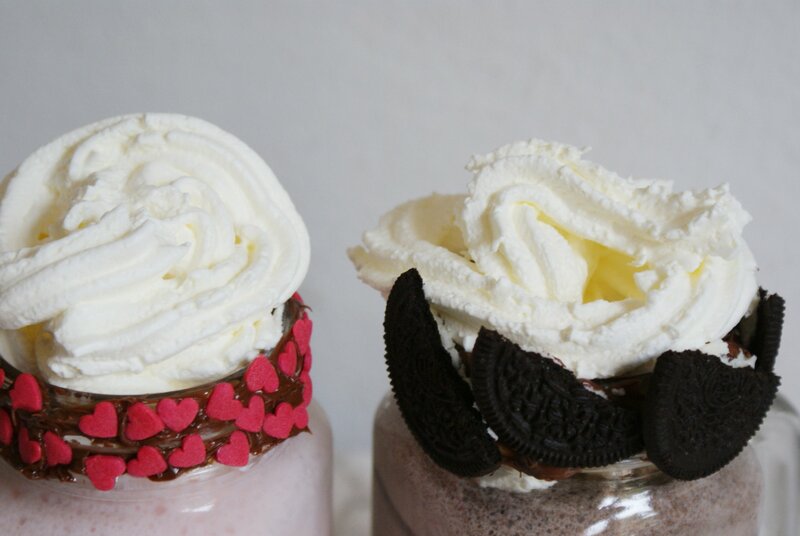 I made two different freakshakes (cause two is better than one haha), one with marshmallows and the other with Oreo cookies. 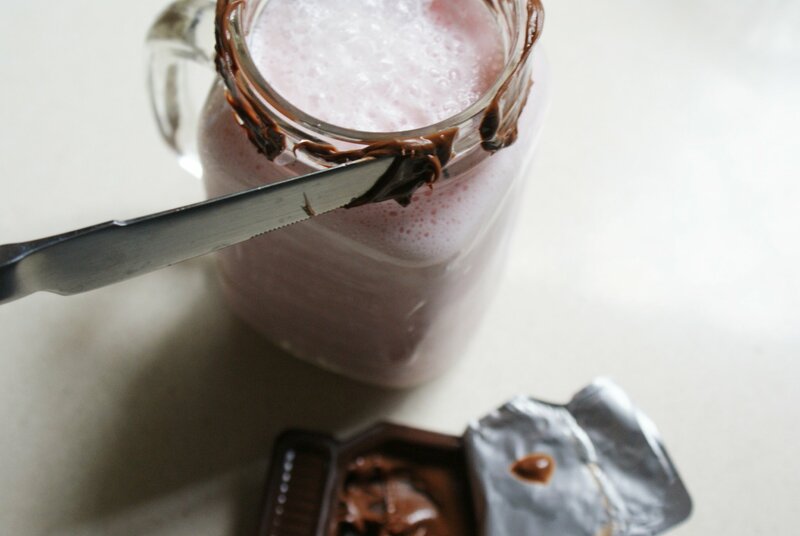 Ready for the sweetest (and freakiest) recipe evah? 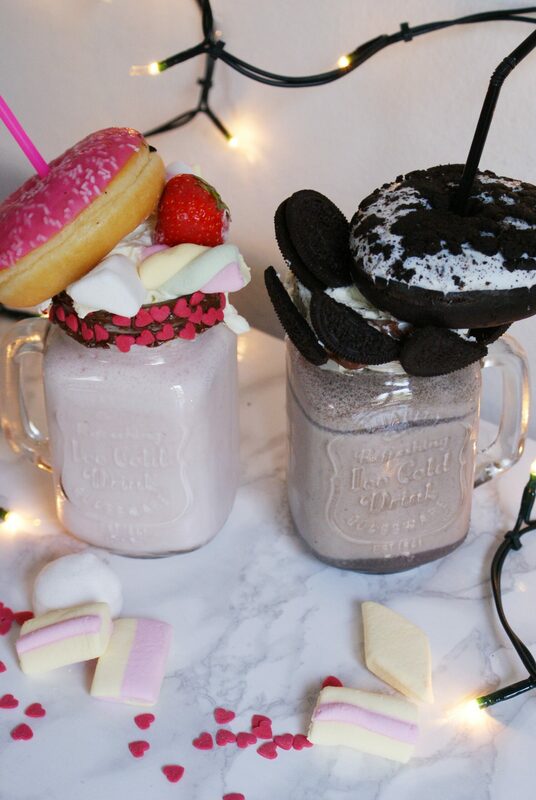 Nati in Australia, i freakshake sono diventati una vera e propria moda. 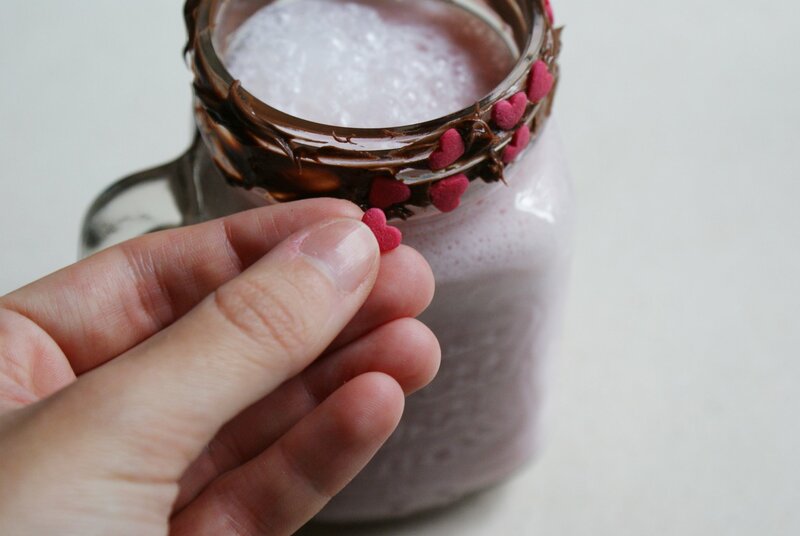 Eccessivi, quasi mostruosi, una colante visione di cioccolato e panna piena di qualsiasi cosa bramiate nei vostri sogni più proibiti…già, perché se inizialmente ne sarete inquietate, alla fine cederete. Inevitabilmente. Ecco, non proprio la merenda di tutti i giorni (a meno che non vogliate diventare le migliori amiche del vostro colesterolo) ma sicuramente un qualcosa da provare questo weekend con amiche, fidanzato o da sole, per portare il pomeriggio Netflix su un altro livello! 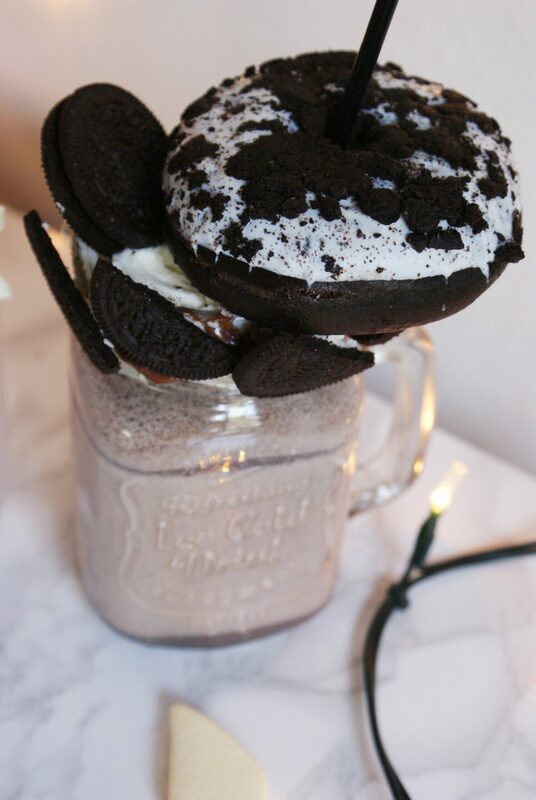 Io ne ho fatti due (perché uno sembrava poco ahah), uno con marshmallow, l’altro con gli Oreo. Pronte per la ricetta più dolce (e spaventosa) di sempre? 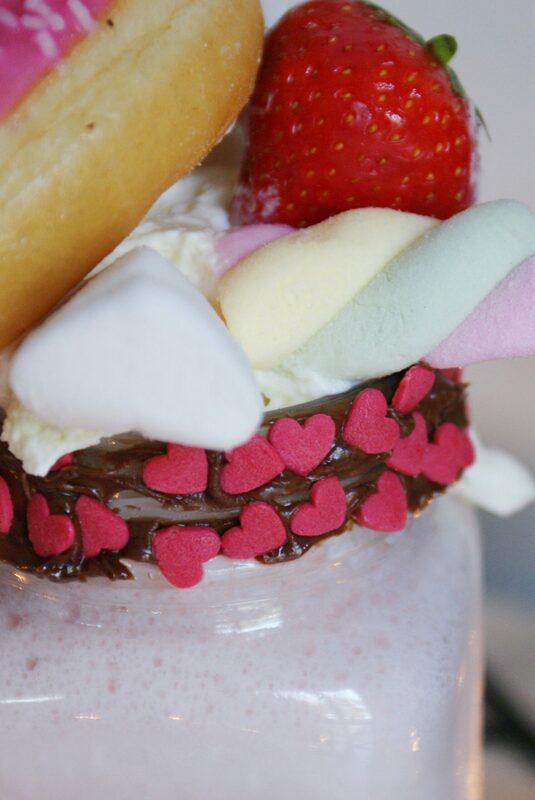 Of course you can add anything you like, the fun thing about freakshakes is that they are full of anything you love! 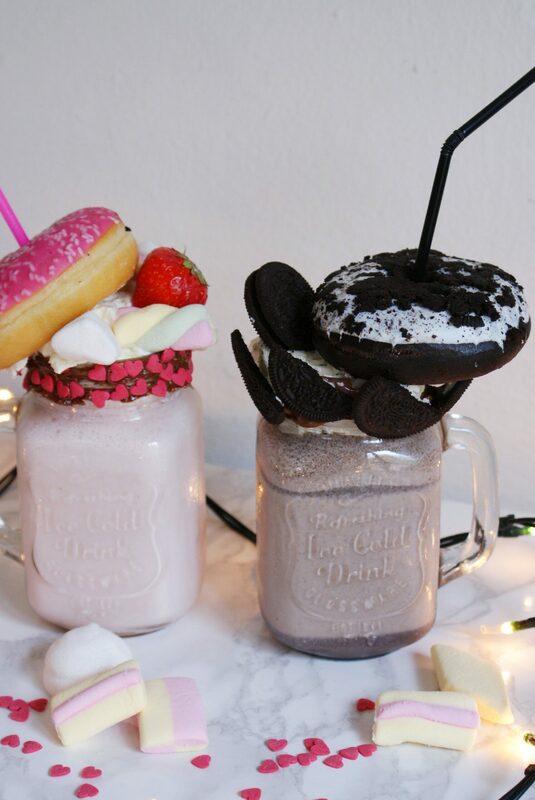 // Ovviamente potete aggiungere qualsiasi cosa vi piaccia, il bello dei freakshake è che li riempite con tutto quello che volete! 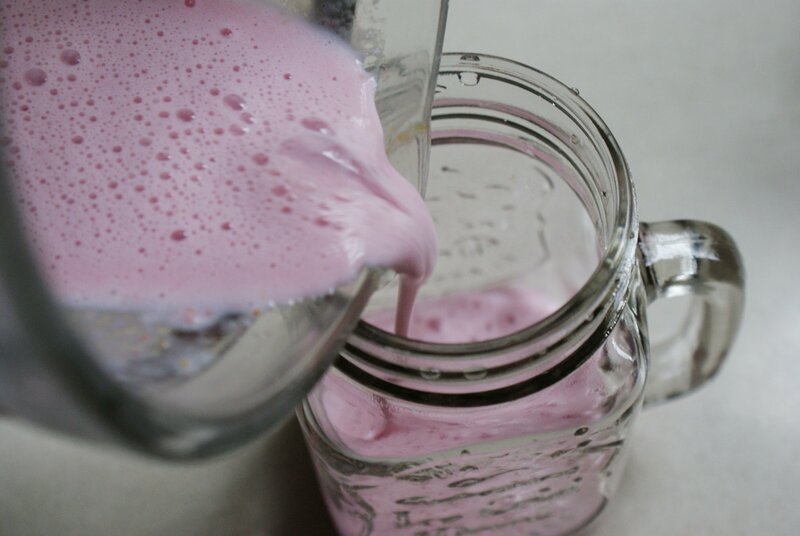 Pour in a blender the half of ice cream, 1 cup of milk and the strawberries (keep one aside for later) and mix them together to get a shake then pour in one jar. 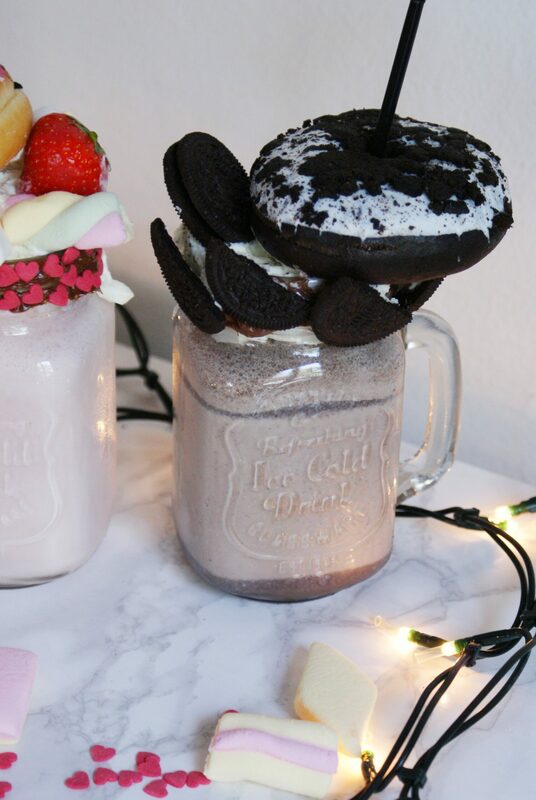 Spread some nutella on the top of the jar and add the sugar decorations, then make the second shake mixing in your blender the remaining ice cream, the other cup of milk and 5-6 Oreo cookies. 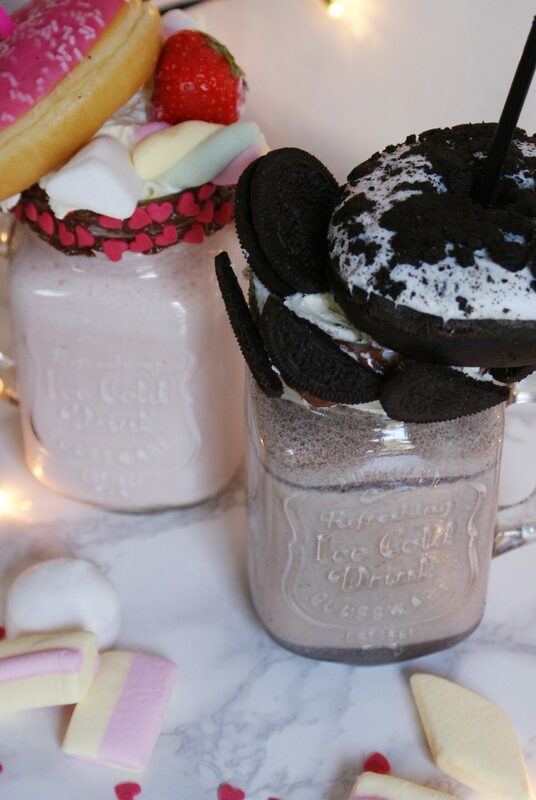 Again, spread some nutella on the jar and decorate with Oreo pieces. 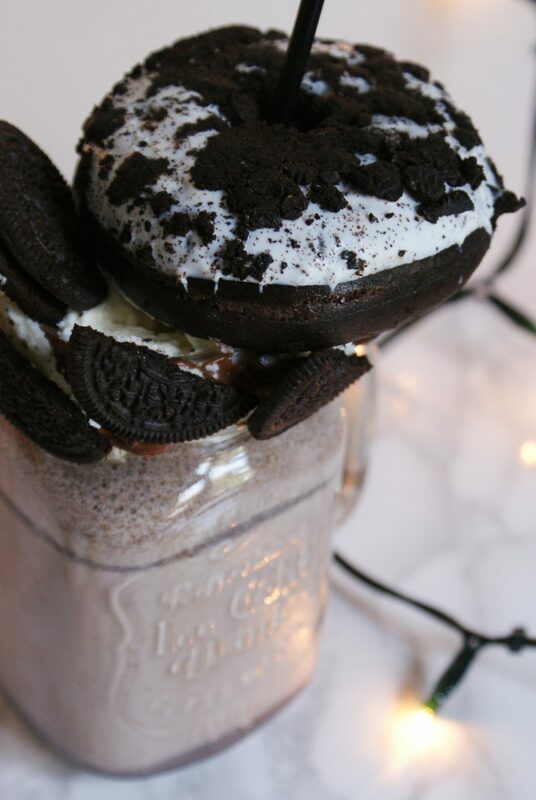 Now it’s time to fill your dream shake! 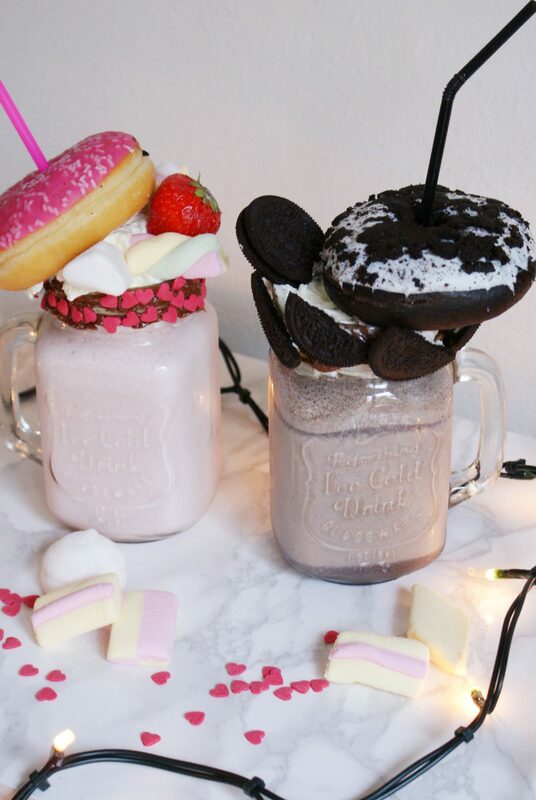 This is totally your choice, I added whipped cream, then the doughnuts and marshmallows + strawberry on the pink one and Oreo cookies on the other. 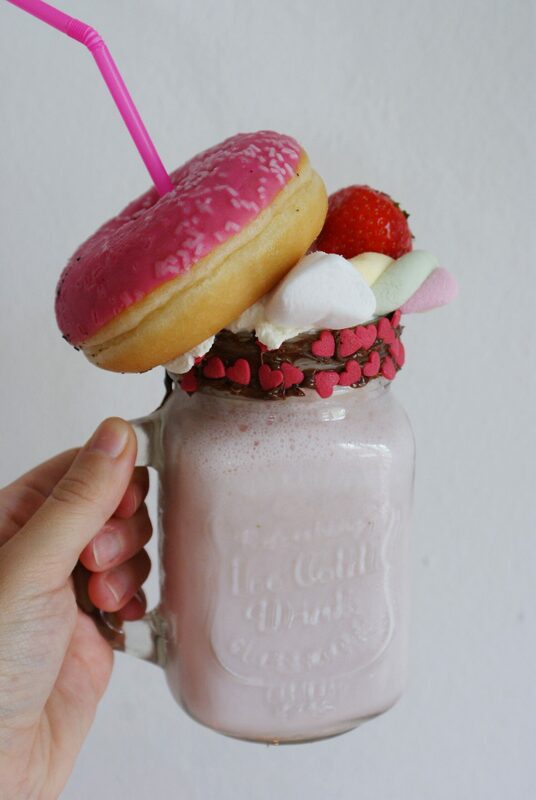 Enjoy your freakshakes girlsss! 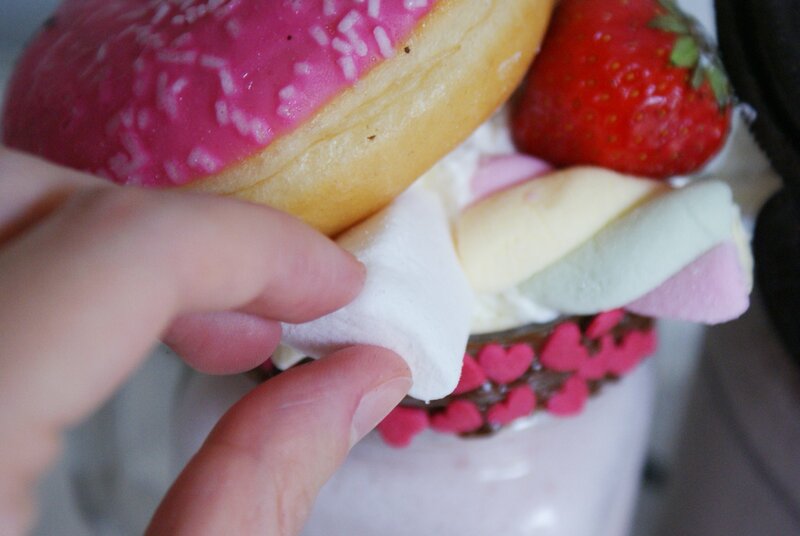 The strawberries+marshmallows was my bf favourite (okay, I actually tasted it and it was delish haha), while I had the Oreo one and let me say one thing: these cookies were a-m-a-z-i-n-g mixed this way! 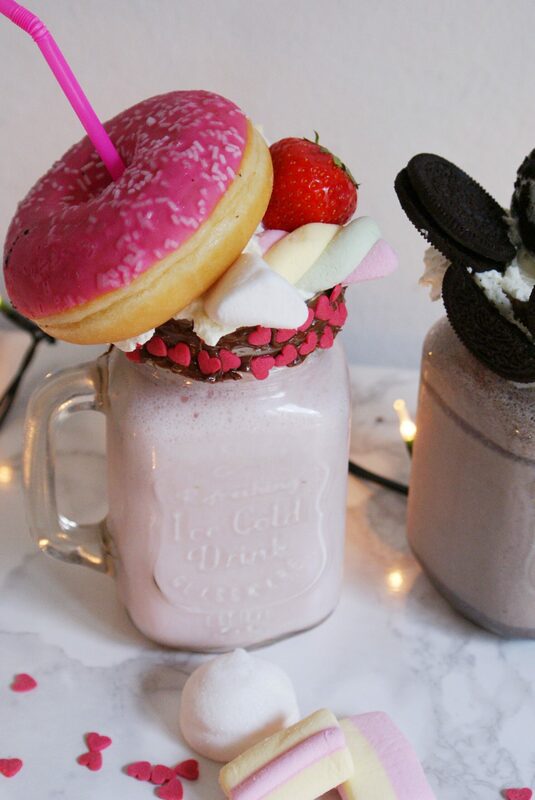 // Godetevi i vostri freakshake ragazze! 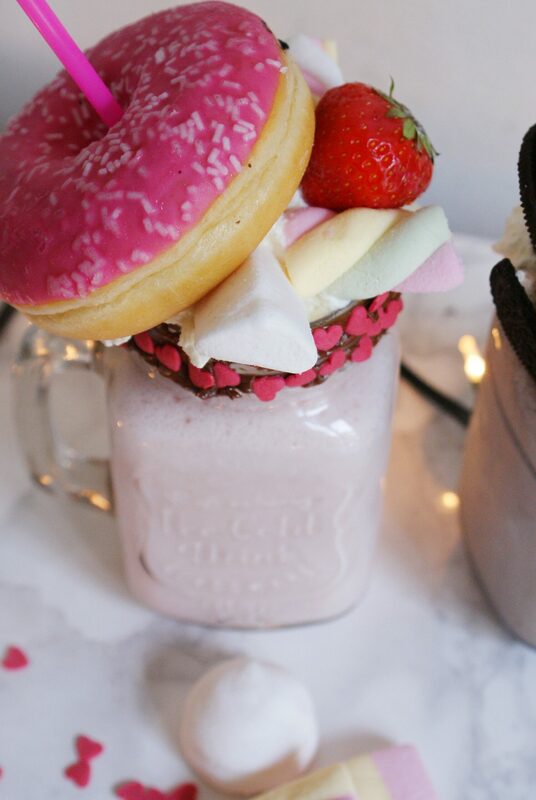 Il mio ragazzo ha mangiato quello alle fragole e marshmallow (okay, l’ho assaggiato anch’io ahah), io invece quello Oreo e fatemi dire una cosa: sti biscotti, frullati così, si sono rivelati eccezionali! Can’t wait to know your thoughts! 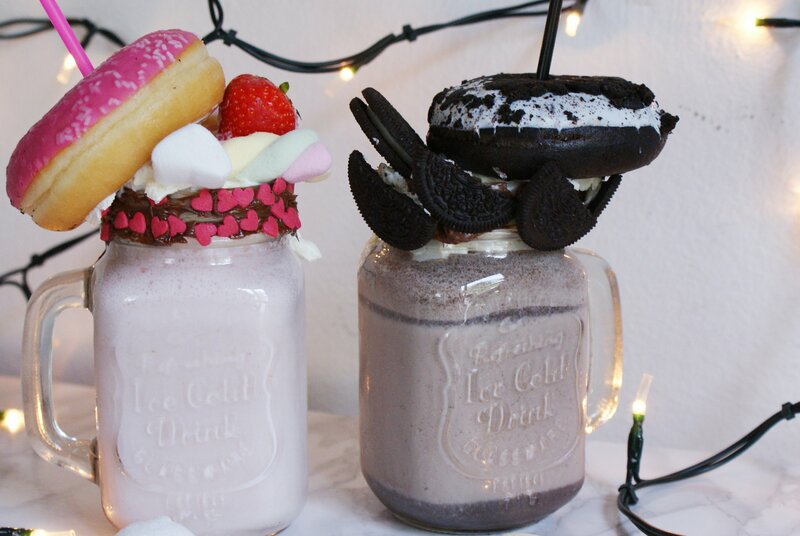 Will you make them? Let me know and happy weekend lovelies! // Non vedo l’ora di conoscere la vostra opinione! Li farete? Fatemi sapere e buon weekend fanciulle!